I haven’t blogged much this past week because I’ve been following the NBA playoffs. The NBA is the U.S. professional basketball organization. Basketball is my favorite sport. 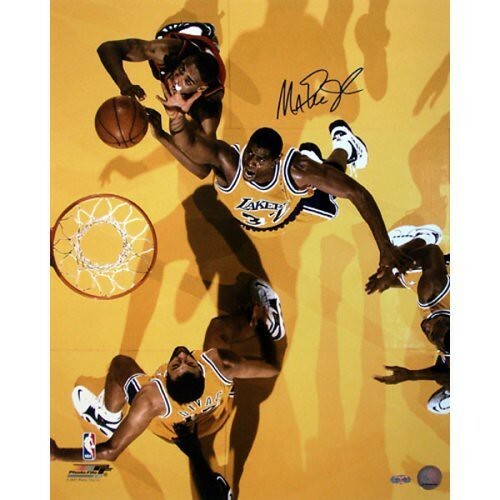 And the Los Angeles Lakers, my favorite team, is one of four teams left playing for a championship. But more on them later. I got to thinking about the role of sports in my life. And how complex it has become to maintain an American sports identity. In the US, sports consist of football, baseball, and basketball. Golf and Nascar are also up there. Sports allegiances are based on cities where you grew up, and where you attended university. I grew up in Los Angeles but haven’t lived there in a very long time. Yet, I’m still a diehard Lakers fan. If you live in a small town, the local university team becomes your city team. Like the University of Oregon team represented the city of Eugene. I never attended the university but I attended games and supported the basketball and football teams. A team like the Portland Trailblazers can be supported regionally, in this case the state of Oregon, even if you’ve never lived in Portland. In Europe and in East Asia, the emphasis is on national teams. There are more international tournaments, and rivals between countries are more pronounced. To us Americans, our attention on international sporting events occur sporadically and without the kind of passion found in other countries. It’s not good or bad. It’s geographic reality. 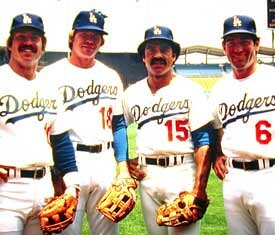 When I was a kid I followed baseball religiously. But once Rupert Murdoch, evil corporate media demon (he owns Fox), bought the Los Angeles Dodgers, the team I grew up with, I drifted away from the game. He proceeded to fire or force retire all the managers and front office staff who had been with the organization for decades and installed idiotic sycophants from hockey and investment banking who traded away the best players on the team. It was gut-wrenching and I haven’t been back to the Major Leagues since, even though the team has been sold again to a less evil corporate entity. It’s been a struggle to follow basketball from overseas, in a world where soccer is number one. The closest I got in the UK to watching the NBA is following the US Olympic team fall to an embarrassing third place. I was in a pub with some of my Spanish friends when the American team lost to Spain. There’s nothing worse than bearing the brunt of smack talk in both Spanish and English by people who know nothing about the sport and had watched a basketball game maybe twice in their entire lives. Other than that, I was forced to try to get into soccer, rugby, and cricket. Rugby was alright since it resembled American football, but whenever I tried to apply football rules and strategies I found myself befuddled. I got into soccer during the Euro Cup because the nationalistic angle of the tournament was mesmerizing. It was the one event that riveted all of Europe, more so than the World Cup, because there are more European nations represented. The racial make-up of the teams, the styles of play, the nationalist discourses, the racist chants. And the sport played at the highest levels. The best way to describe the frenzy it aroused is to compare it to March Madness, the college basketball tournament in the US, but multiplied by a thousand. It deserves a blog post all its own. I tried to give cricket a try. Here was an ancestral form of baseball. There’s a bat and small hard ball, some mitts and a couple of bases. Sounds pretty good so far. But here’s what I couldn’t get over. 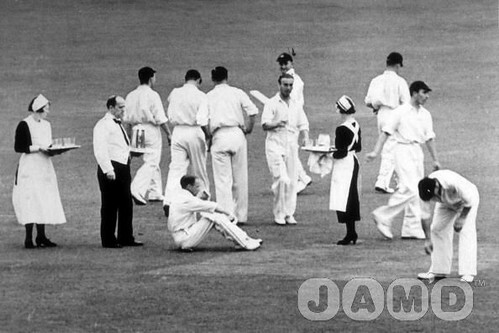 The batting team was drinking tea from fine porcelain and eating crumpets. There was not one dirt stain on their pristine white uniforms. And the score was 198 to 0. And this was just the first day of a three day match. What the hell? Once you break out the fine china, it ceases to be a sport and irrevocably enters the world of tea parties. I swept this ‘sport’ into the cardboard box where I keep my curling equipment. Soccer is also big in Japan but it’s second to baseball. Next might be Sumo. Then there are lots of other sports that get a lot of media exposure, especially synchronized swimming, golf, and women’s volleyball. I’m good with soccer, but I continue to follow only the international tournaments, especially the regional Asian contests. Baseball, of course, is something I’m comfortable with. I’ll watch a Yomiuri Giants game on TV now and then, and attend a game on occasion. It’s played and watched in a completely different way than in the US. It reminds me of the disciplined strategic way baseball used to be played back home. The fans have songs and chants for each player. It’s more entertaining to watch the organized cheering section than the game itself. Again, I really am fascinated by the international events more than the club teams. I thought the World Baseball Championships last year were brilliant. Korea’s run was amazing, beating Japan twice, and the US once. The system was flawed though when Japan took the crown after finally being able to beat Korea on the third try. I was in a pub in Shibuya watching that game, amidst a very raucous Japanese crowd. It was surprising to observe a normally reserved people burst into a loud patriotic furor, and I sensed a frustrated national pride able to express itself. I admit I was a little taken aback. But I suppose it’s the kind of nationalist bravado that I’ve observed everywhere around the world in one form or another. The most compelling baseball in Japan is the Koshien. The best high school teams from all over Japan compete in Osaka every year in a single elimination tournament. Like March Madness, there are perennial powers and scrappy underdogs and cinderellas. Whole villages travel to attend the games. The players cry after a loss. Folk heroes are created. And each player always takes a bit of the dirt from the field. Sumo, as I’ve blogged before, is something I immediately enjoyed. It’s got pageantry, ritual, and enormous, surprisingly quick, powerful men pounding or throwing each other into submission. Now that’s a sport. It’s the anti-cricket. So that’s what my sports world has become. International events that come every few years, like the World Cup and the Olympics. Sumo matches on occasion. A stray baseball game. And every morsel of the NBA that I can scavenge from the internet. So in my next post, I’ll write about what makes basketball so damn tasty. Next Next post: What is a Quilting Sword?